Hey lovelies! Long time no...post. Sorry 'bout that. 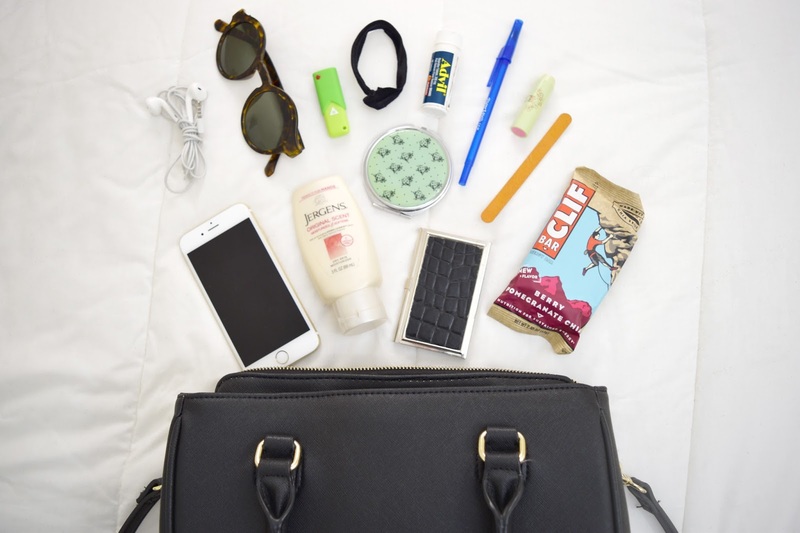 I'm back today with a quick little 'what's in my bag' post. I wanted to do a 'what's in my makeup bag' post, but realized I don't actually carry a makeup bag like, ever. Go figure.